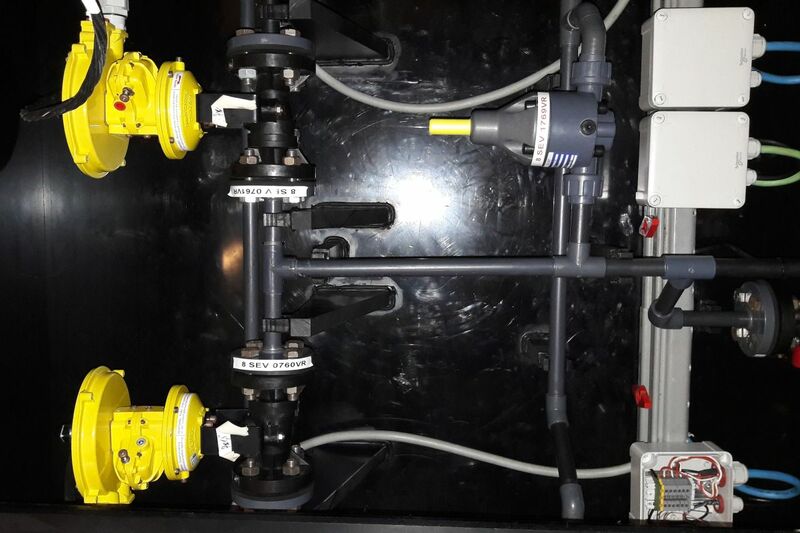 SAFI offers a wide range of manual and actuated valves, strainers and fluid control products for the energy sector. The energy sector needs to cool its systems or to produce steam with salt water which is corrosive or with demineralized water with sulfur acid. The SAFI valves perfectly resist these conditions thanks to the quality of its thermoplastics and elastomers. SAFI is a brand recognized by many actors in the energy sector such as EDF (ELECTRICITÉ DE FRANCE), BRITISH ENERGY, E.ON, GENERAL ELECTRIC who have trusted SAFI for decades considering the SAFI product range suitable for their installations. The thermal power stations using coal, burn the fuel in a boiler, the released heat transforms water into steam (565°C at 160 bar) which drives a turbine coupled to an alternator and generates electricity. Coal combustion generates Sulphur dioxide (SO2). A smoke treatment device reduces emissions of this Sulphur dioxide by 90% which in contact with air, turns into sulfuric acid (H2SO4). The desulfurization installation consists of an absorber in which the fumes are put in contact with a limestone. By chemical reaction this solution composed of limestone powder and water traps the Sulphur dioxide contained in the fumes. This mixture is then centrifuged to extract the gypsum. The desulphurized fumes are then evacuated by the chimney. The effluents that result from this treatment contain mercury. This is essential due to the quality of the coal. EDF realized that, in recent years, the quality of coal has declined and the mercury levels tend to rise. 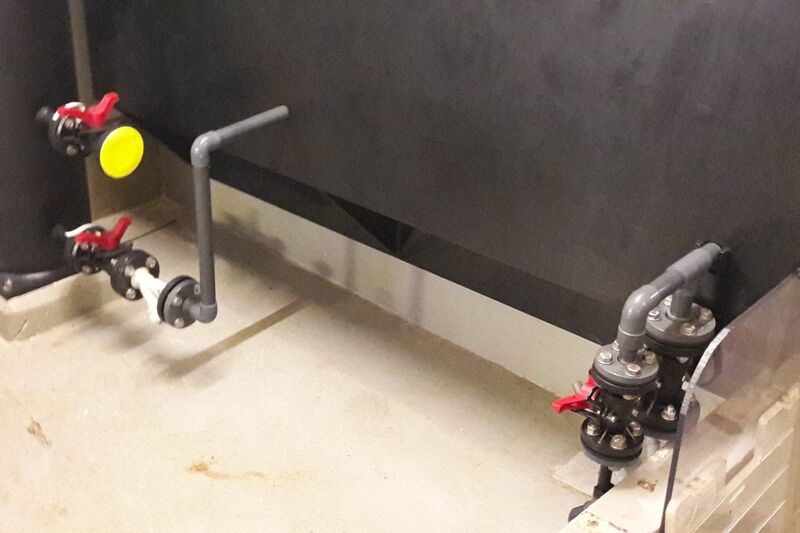 The SAFI valves are perfectly resistant to these chemical products and have been installed on the emptying units ( Ferric Chloride) of this thermal plant.